Shimla: After he became Prime Minister, Narendra Modi’s first visit to Himachal Pradesh, a congress ruled and relatively peaceful hilly State, was a crucial opportunity to judge inclination of public ahead of 2017 Assembly Poll. Leaders of both parties Bhartiya Janata Party and Congress including the Chief Minister Virbhadra Singh were present to receive the PM and accompanied him during inaugural ceremony of three hydro-projects. Formally, the occasion for the PM’s visit to Himachal was to just announce launch of three hydro-projects from a single inauguration site in district Mandi. Considering the current trend in Indian political sphere, visits and speeches are well planned, which is not new. However, what the both parties awaited was post-assessment of performance and crowd it could gather. After the show, Congress opened front against BJP and termed PM’s visit a flop show that gathered little over 15,000 people. Congress taunted leader of opposition Prem Kumar Dhumal and his ministers for not raising any demand or issue relevant to the people of the state. It was a failure for BJP to neither highlight issues of state interest nor support the memorandum presented by the Chief Minister. It’s the first time that a Prime Minister visited the state, gave a speech, and returned without granting anything at all, remarked Congress. In reply, leader opposition Dhumal didn’t say anything to clarify why party remained silent when there was an excellent opportunity to highlight issues in interest of the State. Every party and leader has their own way of governance, said Dhumal. BJP’s motto is to perform first and then make announcement unlike Congress that take interest in announcements only, he further added. BJP leaders did count list of grants to the State by Centre under Modi government to justify aforesaid motto. 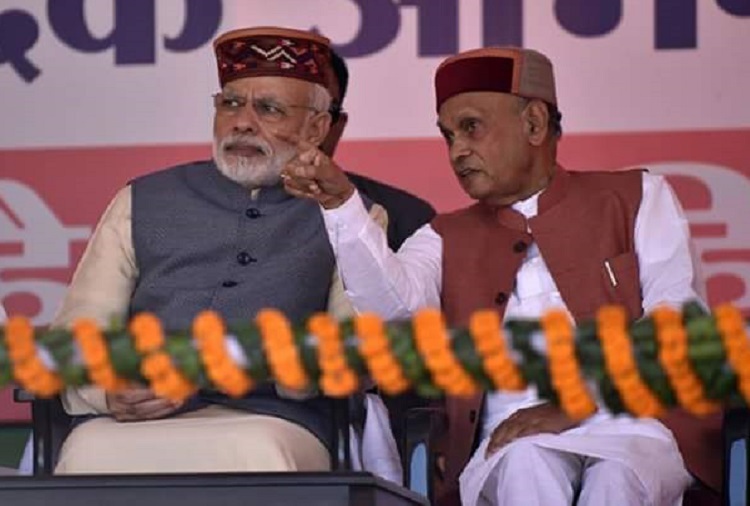 Calling the rally a failure displays panic among Virbhadra-led Congress government, said Dhumal, adding that this face-to-face communication of PM Modi with people of Himachal has rejuvenated their hope for corruption free governance. Congress’s act of declaring the visit a ‘flop-show and disappointment for the people’ is laughable, said Dhumal. 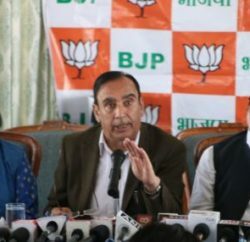 He asked Congress that why people should feel disappointed when Narendra Modi restored the status of special state to Himachal, which was dissolved by UPA government, increased monetary assistance under 14th Planning Commission from Rs. 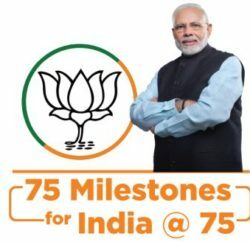 21 crores to 72 crores, granted 61 National Highways, three four-lane, and six overhead railway bridges to the state without giving opportunity to people to ask for it, and granted Rs. 25 crore for ex-servicemen and their families under ‘One Rank, One Pension’. Finally, Dhumal hailed PM Modi for granting sufficient liberty to soldiers to react against terrorist activities in border area. Dhumal dismissed the statement in which Congress called the visit a disappointment for people of Himachal, and said that people are not disappointed at all. Rather, Congress-led state government is willingly halting implementations of Centre approved schemes like ‘Pradhan Mantri Fasal Beema Yojna’ and ‘Pradhan Mantri Sinchai Yojan’ fearing the credit will go to Modi-led Centre government, said Dhumal. He further alleged Congress of misusing Central grants instead of utilizing the funds on developmental activities. On the other hand, referring to Modi’s speech, Virbhadra Singh said that the people of the state are better judge. In terms of inclusive development, people know that during his government Himachal has been rated as the “Best Big State in field of education in a survey conducted by an independent agency, he said. Apparently, both parties are gearing up for upcoming assembly elections in the State and rallies and series of allegations and statements will definitely, like always, heat up and continue till 2017 polls. 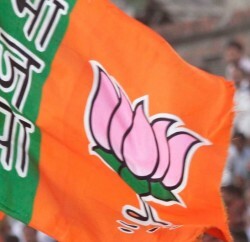 However, people of Himachal aren’t easy to manipulate or instigate by mere statements. Public keeps shuffling governments in the State.